Two Freightliner trucks with custom interior options installed by SportChassis. The 114SD Beck rear discharge mixer and the 114SD concrete pump are spec’d with options such as an in-dash Kenwood Double DIN stereo and turn signal and reverse camera display screen, custom interior door panels, and interior LED step lights. A 114SD Beck rear discharge mixer with an Allison 4700 Rugged Duty Series™ (RDS) transmission. The 4700 RDS is a newer option for the 114SD, and provides smooth, seamless full-power shifts and enhanced starting and acceleration. 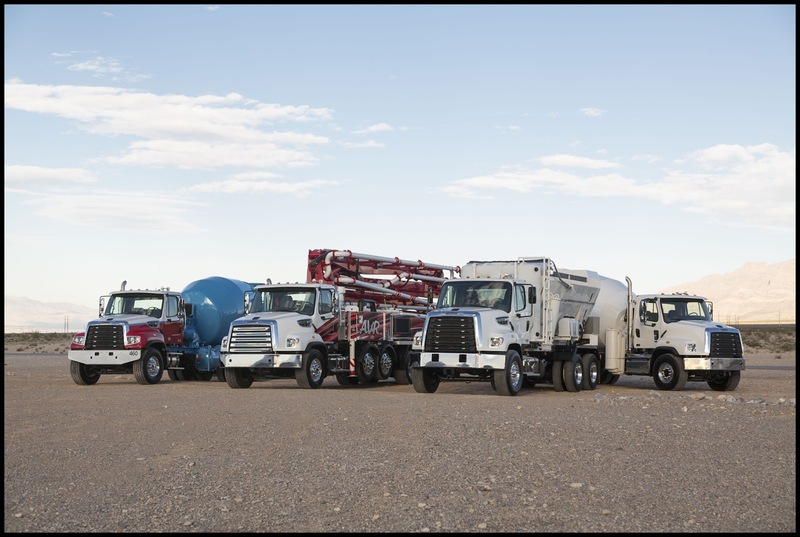 All trucks featured in Freightliner’s booth at World of Concrete are spec’d with Detroit engines, which include the Detroit™ Connect Virtual Technician remote diagnostic solution. Virtual Technician helps customers make informed service decisions within minutes of an engine or after treatment fault event. Visit booth #C5427 at World of Concrete or visit www.freightliner.com.